Your confidence. Your outlook. Your life. With Invisalign, achieving the smile you always dreamed of doesn’t have to be a big deal. In fact, it barely has to impact your day-to-day life at all. Invisalign straightens teeth using a series of nearly invisible, removable aligners that are custom-made specifically for your teeth. 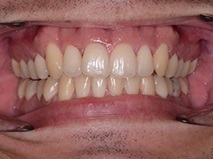 As you replace each aligner every two weeks, your teeth will move – little by little, week by week, gradually moving towards the projected final position. Invisalign has been a success story for over 3 million people worldwide. Invisalign aligners are almost invisible. No one will notice that you’re wearing the aligners meaning Invisalign will fit into your lifestyle and day to day interaction with others. The aligners are removable giving you the flexibility to eat and drink what you want during treatment by simply removing the aligners. Unlike traditional fixed braces, there are no unsightly metal brackets or wires. This means that less time is spent in the dental chair for adjustments. State of the art software allows you to view your treatment plan and final results before you even begin! 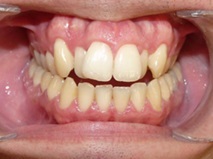 You can see how your teeth will look when your treatment is complete. There is even an Invisalign app which allows you to track your transformation. For more information about Invisalign contact us on 0161 773 3222 or fill out our online enquiry from. Invisalign patients are welcome from everywhere including local areas such as Manchester, Bury, Prestwich, Whitefield, Middleton, Salford, Worsley, Bolton and North West. Alternatively, visit the Invisalign website.